Fourth-year member of the women’s distance program…coming off her finest track & field season in the spring when she established PBs in three events…competed in only two cross country meets last fall. 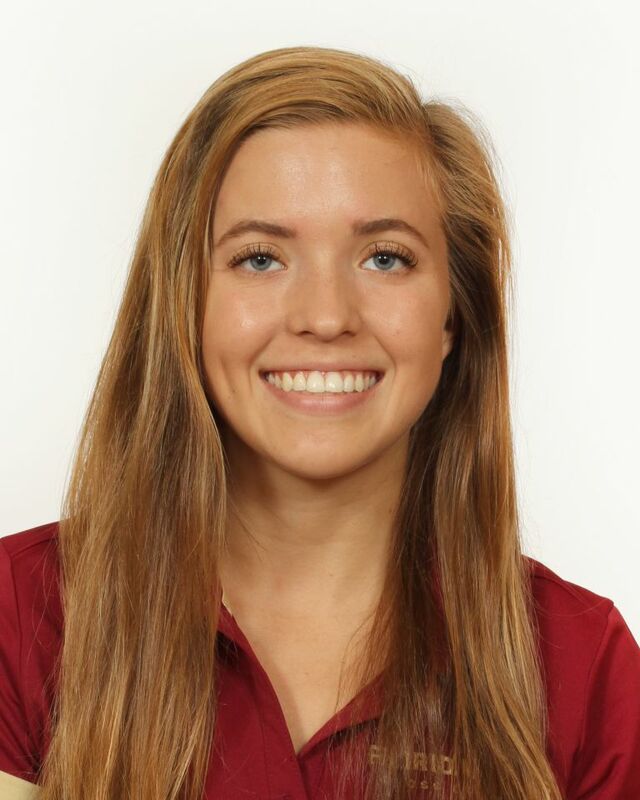 Cross Country: Didn’t open up until the FSU Invitational, where she ran 19:47.1 for 5k to place 58th overall and 12th on the team…only other appearance came at Crimson Classic, where she ran 23:12.8 for 6k and was the No. 4 finisher. Indoors: Competed twice, posting a fourth-place finish in the 5000m at the Clemson Invitational…two weeks later shaved 11 seconds off her time at the Clemson Bob Pollock Invitational (18:38.66). Outdoors: Opened season at FAMU Relays where she was the runner-up in the 10,000 – the first of her career – in 38:05.61…sandwiched a 3000m PB (10:37.57) at the Tom Jones Memorial, between back-to-back 5000m PBs, capping her season with an 18:05.15 at the Seminole Twilight. Cross Country: On the starting line in three events…season-best 19:28.0 5k at Mountain Dew Invitational…was 49th at the Charlotte Invitational in her first collegiate 6k race (24:11.7). Indoor: did not compete. Outdoor: competed in four meets…turned in a 1500m PB (5:00.41) at the UNF Twilight and a season-best 10:56.33 at the FSU Relays. Standout at Ponte Vedra High where she set school records for 5k in cross country and on the track in the 800, 1600 and 3200 as well as a pair of relays…multiple team MVP honors in cross country and track & field…outstanding student acknowledged as AP Scholar with Distinction…member of National Honor Society as well a honor society’s for world history, math, science, Spanish and English…graduated with 41 credits and accepted into FSU Honors program…majoring in engineering…born Nov. 7, 1995.